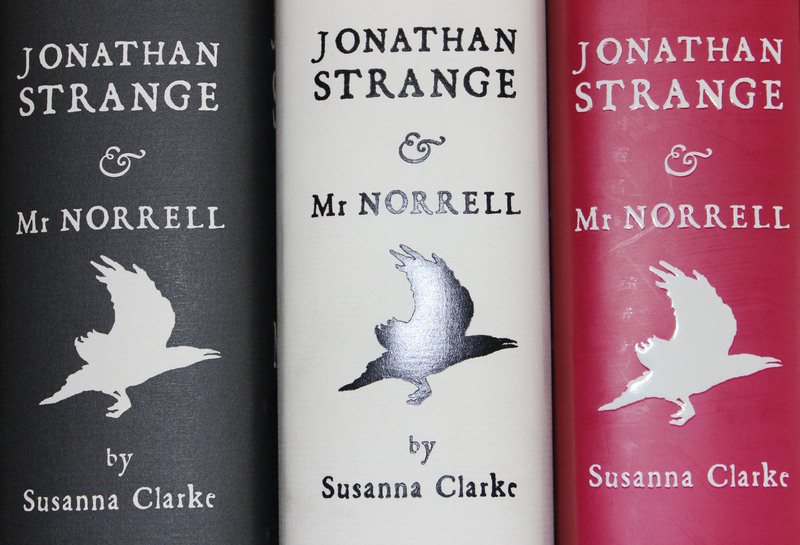 More Jonathan Strange and Mr Norrell. I think I may stop reading the Tor.com read-a-long entries quite so close to my reading. They’re mentioning things that happen later on in the book, and I’d rather not be spoiled on the parts I haven’t read yet. So, there may not be reactions posts for a bit until I can get further ahead. A short chapter, from the French perspective. A huge fleet of English ships have blockaded the port of Brest. They appeared out of nowhere along with torrential and unexpected rain. The Admiral’s servant, Perroquet, is the one who finally points out the oddity of the ships, which, it transpires, are illusions made of rain. I almost wonder if Perroquet is a fairy. His description is so singular that I cannot decided if it is because he is more than human or if Clarke is trying to capture the prevailing attitudes of the time toward someone so different. He is named like a pet and the Admiral is proud of him, as though he were a curiosity. But, Perroquet is also trusted and respected by the Admiral. The archness of the line, “Metal ships indeed! The French are, as I have often supposed, a very whimsical nation,” struck me as annoying. It seemed that the author was inviting the reader to laugh at the narrator, who in turn, was inviting the reader to laugh at the French. I think it would have been better cut. I never quite like those sly insertions in historical novels written with modern knowledge. The last chapter discussing the Ministers and Mr Norrell did not show much hope of practical arrangements being made, so it is astonishing that the blockade should have been planned and executed. How do the random folks in the crowd recognize Mr Norrell? I imagine after the blockade his image was in all the papers, but I also assume that a drawing of one cranky old man rendered in newsprint looks very much like another. That Drawlight and Lascelles are still around is not surprising, but I am surprised that they are encouraging Mr Norrell to publish. He’s such a dry, boring little man. I assume they must be planning to edit him. The very casual way Drawlight and Lascelles discuss a schoolmaster sticking a penknife into Mr Murray’s eye is chilling. Mr Drawlight feels comfortable “summoning” Lord Portishead to Mr Norrell’s side. Mr Norrell must be in very great ascendancy indeed if he can casually summon a lord. The periodical seems to have been successful, according to the footnotes, although it doesn’t sound very interesting to read. His face was the colour of three-day-old milk; his hair was the colour of a coal-smoke-and-ashes London sky; and his clothes were the colour of the Thames at dirty Wapping. None of that actually tells us what he looked like or how he was dressed, but it gives us a very definite image nonetheless. It’s so funny that Mr Norrell is afraid he has betrayed English magic by not coming forward earlier, but doesn’t spare a thought for all the English magicians he has ruined. I suspect the prophecy that Vinculus is spouting will come back somehow. It’s very foreshadow-y. The juxtaposition of Mr Norrell’s paranoia about Vinculus with the servants’ concern about the pies he ate is a very nice moment. Childermass continues to remind me of Snape. Mr Norrell seems so petty still. He has done great, bold things, but he himself is a dried up unpleasant man. Again, to the footnotes, “Strange preferred the society of clever women to that of men.” What good taste he has. The new manservant, Jeremy, seems very singular. He can’t have had many positions if he goes about calling his employers “old fools” very often. Jeremy’s trek to Heart-break Farm is vastly entertaining. He’s so accepting of everything, where I feel another person might have started to suspect Mr Strange of mischief about the time he encountered the thorns. And Laurence Strange gets his comeuppance. Although, I’m not entirely sure what this chapter is meant to illustrate other than that Mr Jonathan Strange had a terrible parent. Lady Pole seems to have a manic energy, which can’t be natural. Kate Nepveu, on the other hand, feels that this state of high energy is what Lady Pole should have experienced if not for her illness. She has read the book before, so I have to conclude that I’m just being paranoid. Stephen Black seems to be personal secretary, steward, and butler. The narrator points out how unusual such a position is because of Stephen’s race. He is black in a society that dismisses the value of a black servant in any capacity save that of novelty. The interest of the butcher’s boy et al in Stephen’s habits was precious. They think he’s a prince in disguise. Which, given that Peter the Great did pretend (poorly) to be a lowly ship builder isn’t that far out there. It bothers me a little that Stephen Black is introduced in the context of healing the rift between the town servants and the country servants, but we don’t get to see him do so. I want the country servants to be alright. “…so they told Sir Walter – rather than asked him – that he missed his wife.” I just love that line. Alfred may have some of the sight. Or, Stephen Black is right and all he saw was the curtain and the candelabra. But I doubt it. Stephen heard a pipe and fiddle that was heartbreakingly sad and Robert saw a wood grown up outside. Omens and portents, indeed. The hauntings have solved the servants’ differences, not Stephen. I’m kind of sad about that. I wanted to see Stephen at work. The degree to which people just accept things is astonishing to me. Stephen has just answered a bell he has never seen before, gone to a room he has never noticed before, and the room is not one that matches any of the rest of the house. And yet, he assumes the strange man inside is just a guest he wasn’t informed about. Are all these people on heavy duty tranquilizers? The dismissive way the thistle-down gentleman remarks that it’s so easy to find the tears of virtuous spinsters who have never been happy despite long and virtuous lives is chilling. Ok… the man has just opened a box and displayed a finger. A finger he wants Lady Pole to wear at the ball tonight. How is Stephen not freaking out right now? I’m a little surprised that Stephen knows the dances. I wouldn’t have thought most servants were taught formal dancing. The descriptions of the people at the ball are wonderful. I really want to see if I can conceptualize a necklace made out of broken promises now.